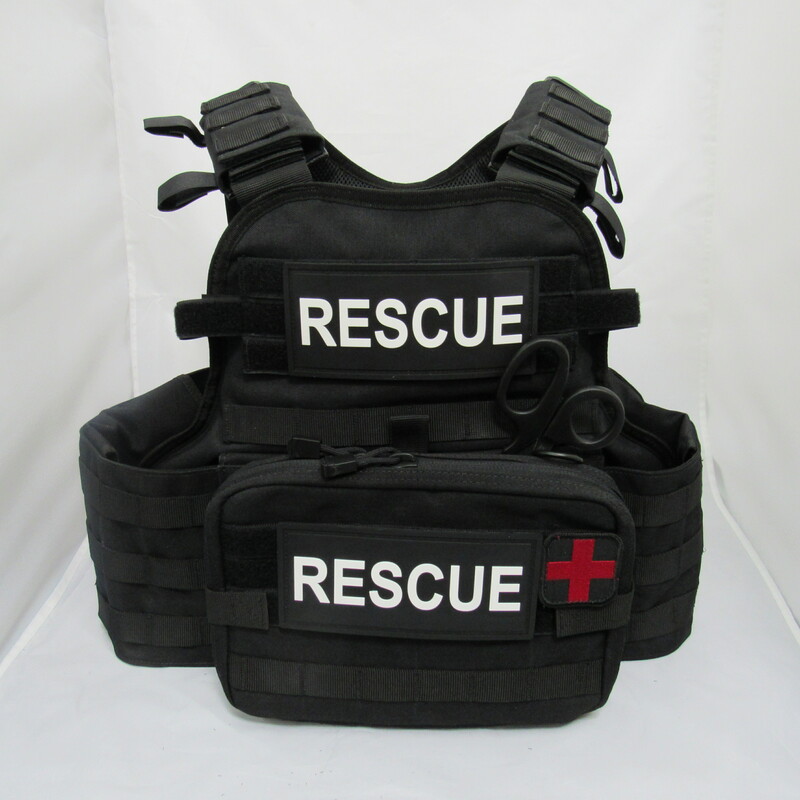 The Emergency Response Vest or commonly referred to as a Task Force Vest is our solution to the vast range of Emergency Responders or Rescue Personnel to any Active Shooter or Random Violent Act Environment, or any other mass casualty incident that contains a threat to public safety and safety of the citizens at large. This is our complete coverage plate carrier including two (2) OSS Advanced Ceramic/FRP Level IV NIJ " certified " 10x12 Stand Alone, Multi Hit Capable Armor plates that weigh only 7lbs. It is has full side coverage and can accomodate hard armor or soft panel side protection. It has a complete Tactical Medic fast kit designed to treat mutiple severe penetrating trauma Injuries and extra Tourniquet for the wearer should they become in need. This platform carrier is fully adjustable with snap buckles on the shoulders and internal waist strap and cummberbund. Its made rugged enough to take the abuse of trunk carry or multiple deployments. With this rig, rescuers can now deploy with Police and Law Enforcement into a hot zone to save lives while remaining safe themselves.